1 Jan 2019 – Some of us think 2008 was a lost opportunity. Humanity had a chance to change course to save itself and the biosphere. We blew it. Could 2019 be a second chance? The reason why 2008, instead of some other recent year, stands out as a change opportunity is that toward the end of that year investors were losing money. 13 Dec 2018 – In the midst of more than one crisis, a stellar group of left-leaning intellectuals led by Thomas Piketty has written a proposal to remake Europe. It includes a manifesto, a treaty establishing what would amount to a new European legislature, and a budget. As its authors say, the greatest merit of their proposal is that it exists. Everyone is invited to comment on it and to suggest improvements. Taking them at their word, here are three comments and one suggestion. When we are dealing with socially created realities we should bear in mind that the ways people think about the problems create them. If people are going to solve the problems, they need to think differently. Solidarity economics redefines the problems. The Roman Law iron cage of European “civilization” has got to go. Europe must demote itself to the status of a peninsula of Asia whose savants are no wiser than Gandhi, Confucius, Julius Nyerere, Nelson Mandela or Paulo Freire. Many pioneers are developing alternative economies. Es necesario construir formas de vida muy distintas de la forma actualmente dominante. Entre las estructuras sociales dominantes que hay que desechar está la que subordina los procesos vitales de la vida a la existencia de ingresos, cuyos montos son fijados por un contrato de trabajo. En el plano científico, el equilibrio general, que nunca ha sido pensado como una realidad, tiene que dejar de ser pensado como un ideal en el cual el producto del trabajador corresponde al sueldo fijado en un contrato libremente negociado a la luz de las fuerzas del mercado. There is another reason why having to live in one regime of accumulation or another is unsustainable. It is because although the physicists, chemists, and biologists have explained to us very clearly what we must do to save the biosphere, we can’t do it. The causal powers that determine our behaviour are mainly in the social structures. What happens is not what humans want to happen, but what the structures compel. Nobody wants the destruction of the biosphere, but nevertheless we are compelled to destroy the biosphere. It is a systemic imperative to obey the necessity of capital accumulation and to disobey hard science. 22 Apr 2018 – One of several key theses of this book is the ethical principle: we should share the surplus. It is an ancient principle that in modern times the principal founder of economic theory, Adam Smith, took great pains to deny. It is present in one form or another in most of the cultures homo sapiens has constructed. It survives today in most religions. It is, implicitly at least, a centrepiece of socialism and of responsible capitalism. We do not think of ourselves as proposing a new idea, but as reviving an old one whose time is now returning. 3 Jan 2018 – This article is an offer of new ideas, designed to be food for thought for the first group, the questers; to question the certainties of the second group, those on either the right or the left or in the centre who believe the right path is known but just not followed; and to inspire hope and clarity in the third group, those whose emotions are deep but whose thoughts are muddled and incoherent. I refer to the unsolved ones, not to those that are pretty satisfactorily solved already. I focus on our two acronyms SF1 and SF2, where SF can be read as Staggering Fact or as Structural Fact. Jan 2017 – When Roy Bhaskar first introduced his concept of intransitive objects of knowledge in A Realist Theory of Science, his first examples of such objects were the specific gravity of mercury, the process of electrolysis, the mechanism of light propagation, sound and heavy bodies falling to earth. Such objects would continue to exist in a world where there was no science to know them. In such a world, which has existed in the past and which might come again, the causal laws that science has now discovered would prevail in the absence of knowledge of them. If you have successfully freed your twenty-first century mind from enslavement to the jurisprudence of the eighteenth century, you will have no trouble accepting the cancellation of debts. If you are a realist about the evolution of the human species on the planet earth, you will see necessary or desirable debt cancellation as just another adjustment of culture to its physical functions. Adelantamos la tesis de que hay una oportunidad prometedora y desafiante que tenemos los profesores para cambiar en sentido positivo el rumbo de la historia. Es una oportunidad también peligrosa. Cuando usamos la frase “rumbo de la historia” tenemos en mente la diferencia entre, por una parte, los innumerables sucesos que pasan; y, por otra, aquellos sucesos, o constelaciones de sucesos, que cambian de una manera fundamental la forma de vida de un pueblo, o de unos pueblos. President Franklin Roosevelt had declared that America was fighting for the Four Freedoms: speech, worship, from want, and from fear. Jack wrote home that the U.S. troops in Europe were called “The Four Freedoms Boys.” First Lady Eleanor Roosevelt would soon play a leading role in drafting a Universal Declaration of Human Rights that would establish social rights to education, health care, employment, and social security in old age. 31 Dec 2016 – What I most want to say is that social chaos and ecological disaster cannot be avoided without transforming basic cultural and social structures. Otherwise no economic policy will work. For structural reasons, all economic policies lead to unacceptable results. Voy a adelantar tres tesis. Por supuesto la veracidad o falsedad de ellas no se puede evaluar sin conocer los significados de las palabras que las componen. Me voy a dedicar principalmente a explicar de qué se trata, vale decir a explicar el significado de los conceptos que componen las tesis. Después, voy a pedir a los lectores evaluar según sus luces si las tesis sean ciertas o sean falsas. Aunque parezca una exageración, creo que señala una pista a seguir para salvar a la humanidad del caos social y para salvar la biosfera de la extinción. Es muy importante. Individual and Human Rights – Let’s talk about natural rights. What shall we say? Well, let’s begin the way students in law schools begin when they brief a legal opinion to prepare for a class. They read the dissenting opinion before they read the majority opinion. Starting with the dissent is a good way to bring the issues into focus. 6 Oct 2016 – “Chile vive una muy profunda crisis de confianza de todas las instituciones.” La opinión arriba citada no es la opinión de cualquiera. Es la opinión de quien fue el Ministro de Economía en la transición del gobierno militar al gobierno civil de 1990. “Nuestro mayor problema político es la falta de imaginación”. –Michel Foucault ~ La apuesta de la economía social y solidaria es que la misma lógica cálida que rescata a los victimas del sistema es capaz de transformar el sistema. Bloomberg frames the expected reforms as the efficient causes that will generate prosperity and employment. That investors are already expecting higher profits is framed as good news for the poor. The proposition that more investor-friendly reforms (on top of the many South Africa has already had) will serve the common good is treated as a given needing no proof; as if it were a joke that had already been told; as if those who did not understand the joke and did not know when to laugh, or did not know whether to laugh or cry, were not so much mistaken as left out of the conversation, deprived of voice. Take a cue from the days when Jesus could say “render unto Caesar that which is Caesar’s.” In those days money belonged to sovereigns and sovereigns used their financial privileges to defray their expenses, mainly the expenses of waging wars. Now banks and other financial institutions have privileges that the sovereign people should have and should use to make social rights real rights. ¿Qué es lo que es la democracia? Según el realismo critico la palabra “democracia” –y cualquier otra palabra—es una herramienta de acción social. Hablar es actuar. Esgrimir la palabra “democracia” es una acción. Debe ser una acción responsable. Sucesos actuales en Turquía y en Chile subrayan la importancia práctica de esta perspectiva teórica. My thesis is that the proposals put forward by Donald Trump, Hillary Clinton and Bernie Sanders offer no solutions to the fiscal crisis of the state, and partly for this reason do not and cannot promise social integration. I am not complaining. I am just trying to do my part as a philosopher to help generate better ideas, ideas that will work. Nice is an opportunity to work on learning what we should be trying to learn anyway: how to live in peace with one another. As Baruch Spinoza pointed out in 1677 –and it was already old news then—anybody can kill anybody. Nice dramatizes the fact that peace through law enforcement is not feasible. Anybody can kill people with a truck, and there is no way to deploy police everywhere to stop that from happening. Peace is a table with four legs: justice, justice, justice, and justice. Lo que distingue el político de los demás oficios y profesiones no es en fin ninguna calidad moral distinta, sino el hecho que le corresponde cumplir una tarea que en la época que nos toca vivir es imposible. La tesis que hoy la política es imposible, o –dicho de una manera menos escueta– que los objetivos que la política se propone sean inalcanzables, es hasta aquí todavía más una provocación que una hipótesis. The discursive strategy of this chapter takes up again a central idea of dominant discourse: the idea that economic growth is and must be the aim of every nation. It seeks to destabilize the basic cultural structure. It seeks to destabilize the inter-related ways of acting, talking and seeing that cement injustice into place and make it immovable. But it does not only destabilize. It also includes a number of constructive proposals. Today “governability” is standardly defined as the overall capacity for governance of any societal entity or system. This definition has the defect of being somewhat circular since it uses the word “governance” to define the word “governability.” But before busying ourselves with improving the definition of the word, let us instead look at some of the important issues at stake in governability-talk. Chapter Eight of: Economic Theory and Community Development – Where we are going with our analysis: What we need is not so much a new economics as a new psychology. We need alignment with the common good. We need community. Chapter Six of: Economic Theory and Community Development. The coming crash may be humanity’s golden opportunity to transition to post-economic society. Or it may be the beginning of endless misery, violence, confusion, ignorance parading as technocracy, repression and –what is worse– ecocide. This memo stresses the importance of evaluating CWP´s compliance with its mandate to use public employment to catalyse community development. It also underlines the importance of issues in economic theory that bear on CWP´s contribution to society. In the late 1980s, as apartheid neared its end, Neville Alexander called on educators to “…shape consciousness in ways that are looking forward, in ways that are preparing people for a liberated, non-racial, democratic, and socialist South Africa.” Is Neville Alexander’s life’s work a contribution to a revolution that is still happening? First Principle: The needs of those who need to sell something to live (to sell either their labor or some other saleable item) usually exceed effective demand. There are more sellers than buyers. 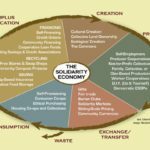 Therefore, in a green, responsible, plural and caring (or “solidarity”) economy there must be work (or some other source of livelihood) that does not depend on sales. Society as a whole and the university as a leading part of society need to revive some of the norms of African society prior to European contact. One could say the same about traditional norms in other parts of the world. I mention Africa because we are here. 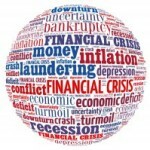 World leaders and the economists who advise them are now debating whether more stimulus or more austerity, or some combination of the two, is the path toward restoring the normal functioning of capitalist accumulation, and therefore toward higher levels of employment and economic growth. There is no solution within the terms of their debates, only an historical necessity to muddle through somehow. Nor are there well-known solutions waiting in the wings, for both central planning and social democracy are discredited by good logical reasons and by historical experience. A question that it would seem to be reasonable to ask is how to raise wages and employ everyone who wants a job, without raising prices, without militarism, and without damage to the environment.